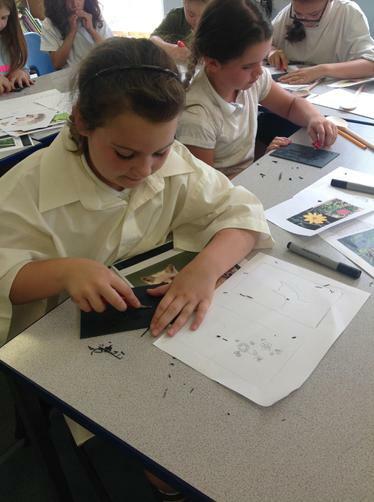 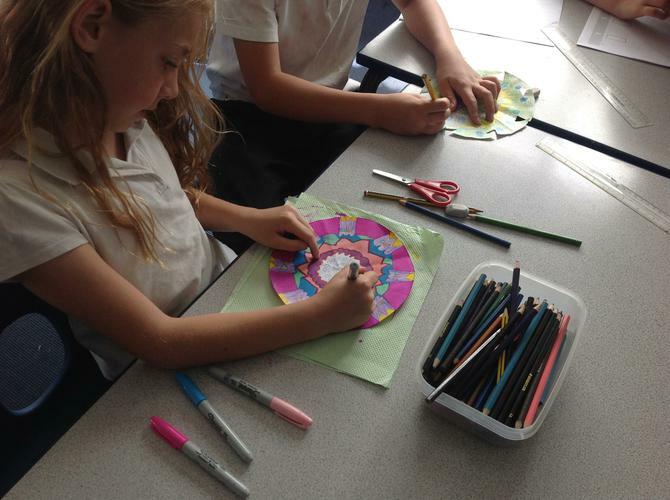 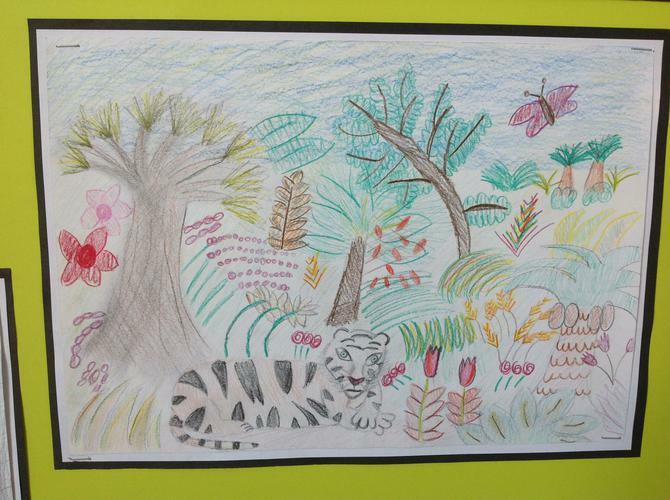 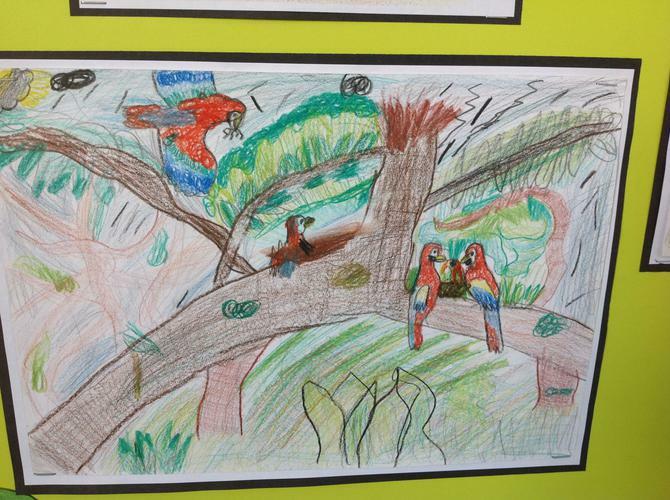 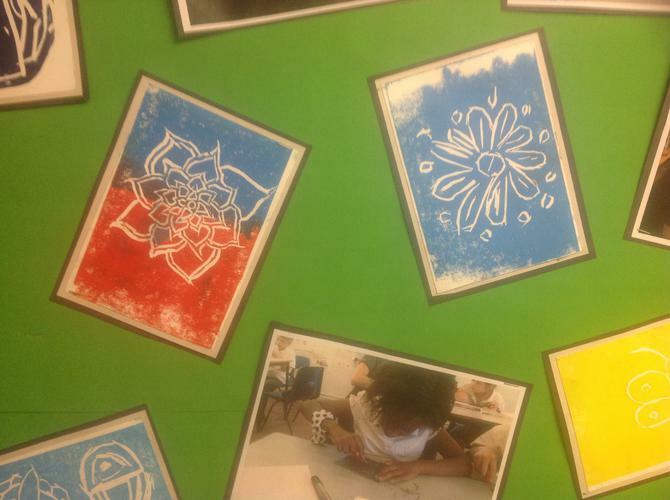 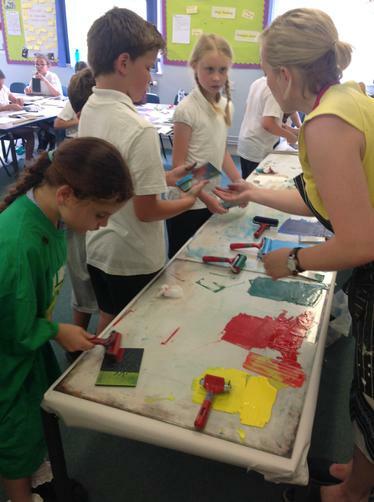 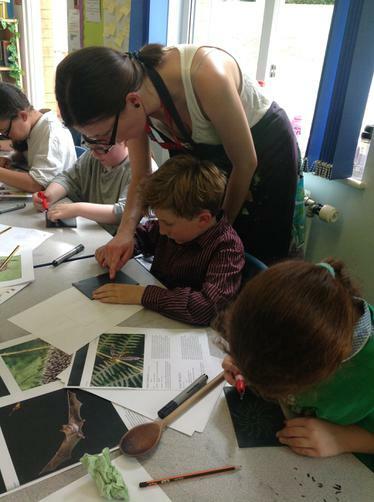 During Art Week Years 3 to 5 worked with professional artists on projects focusing on the natural environment. 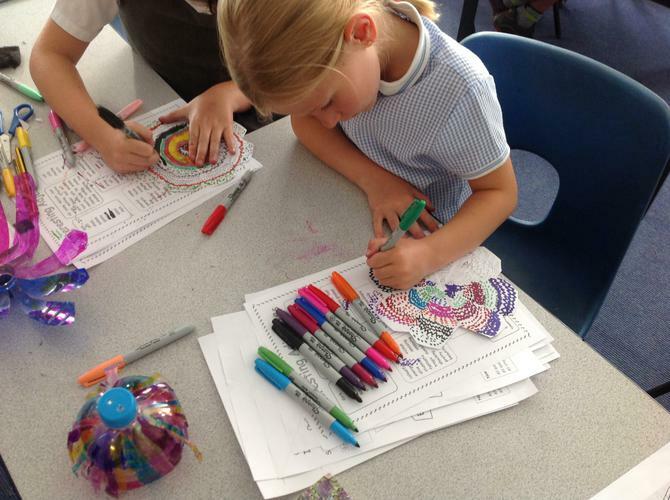 In Year 3, the main focus was recycling. 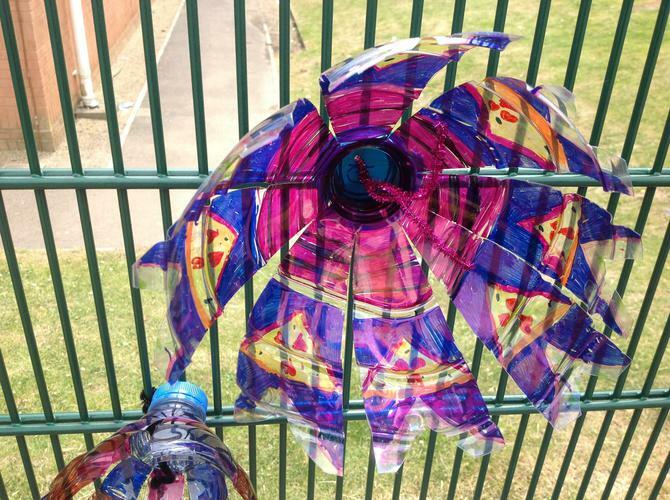 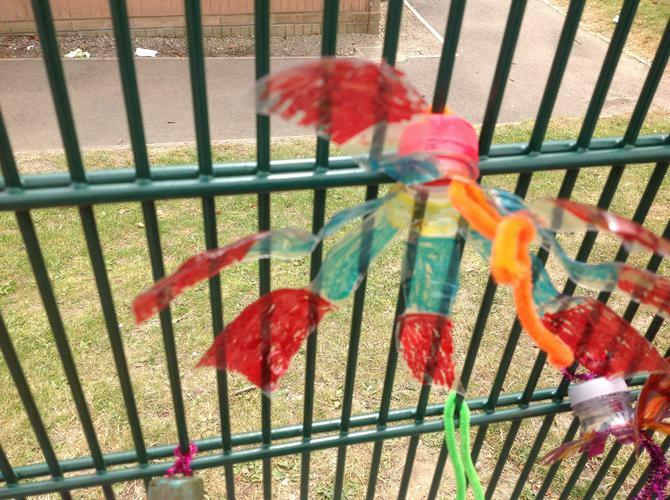 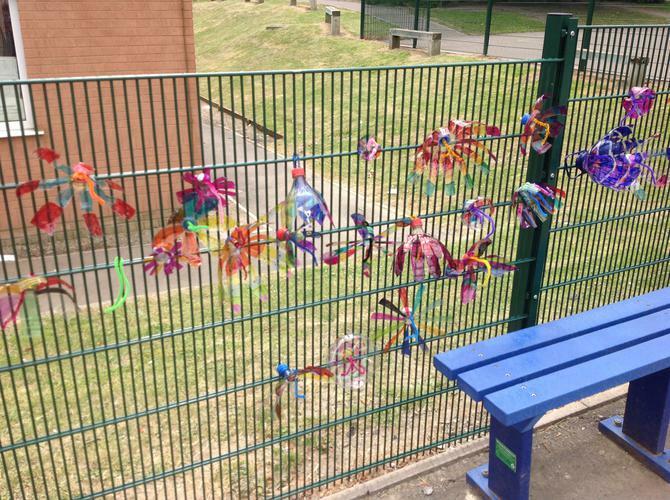 Each child used a plastic bottle to make a flower which was then attached to the playground fence to create a group instillation. 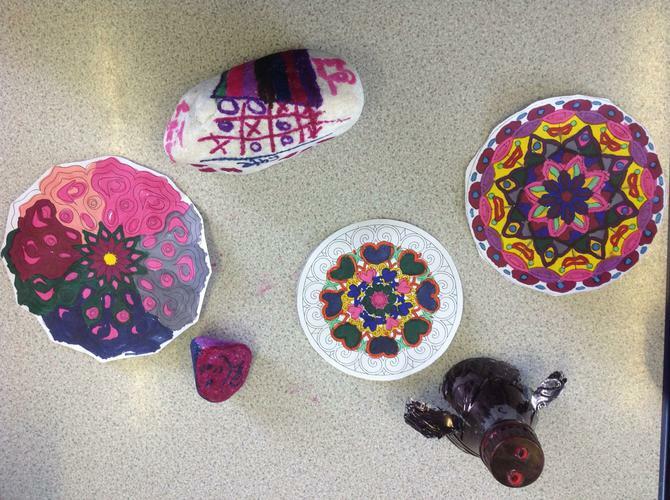 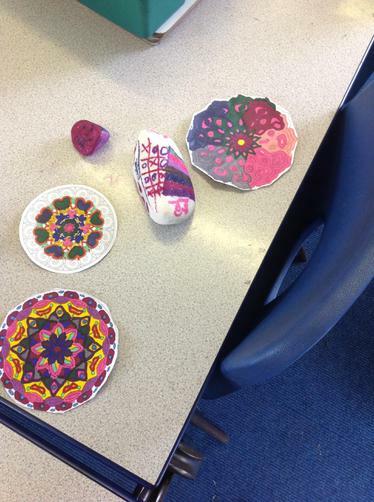 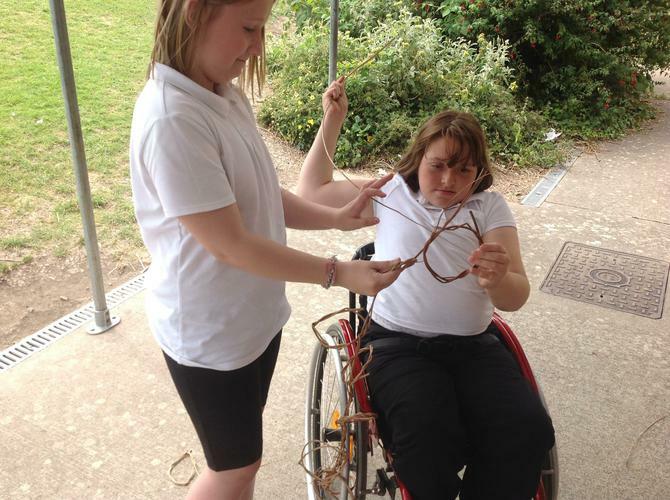 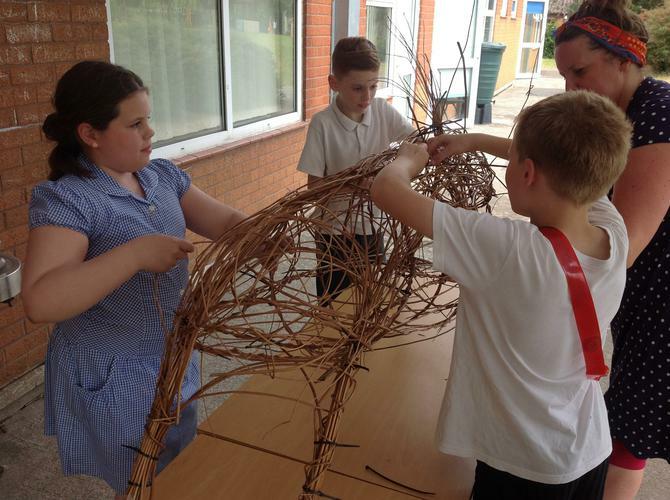 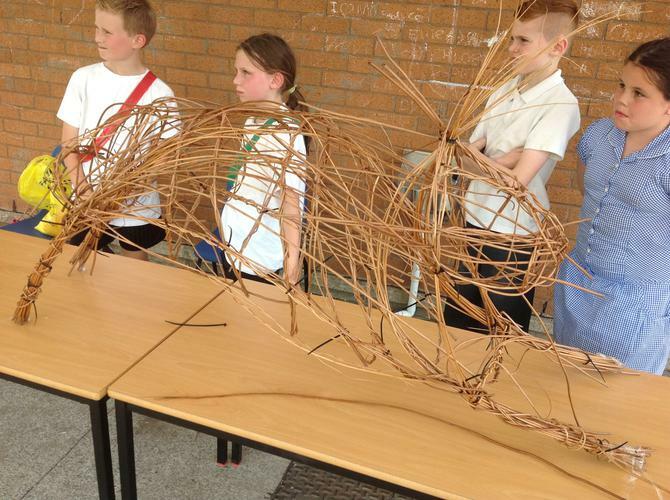 Artwork was then created from natural materials found in the school grounds. 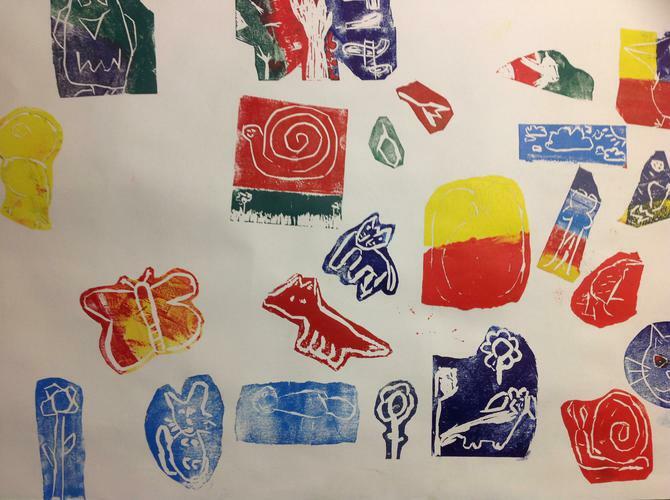 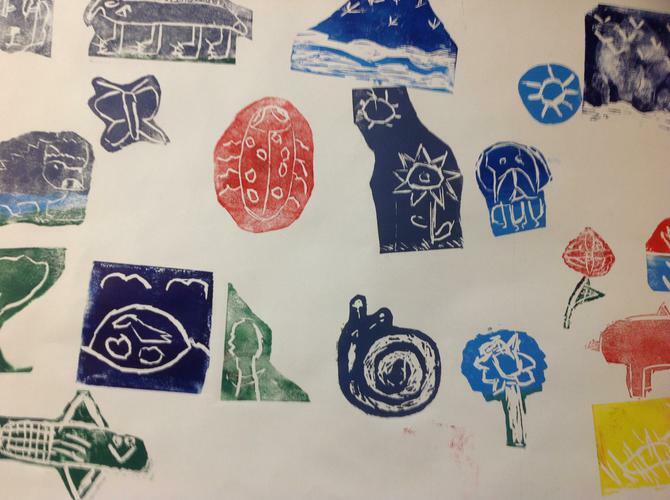 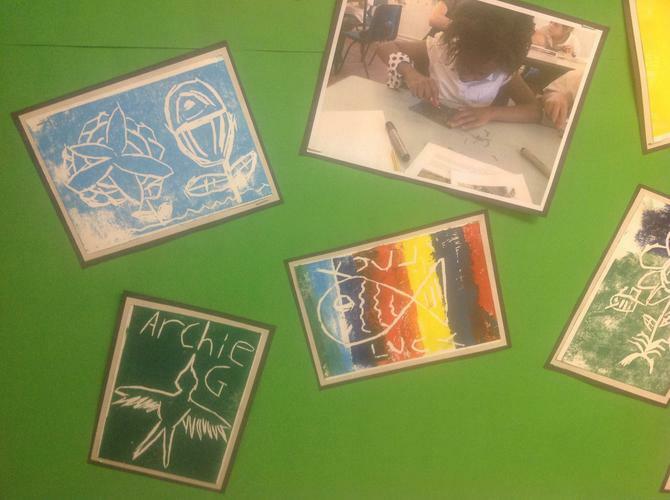 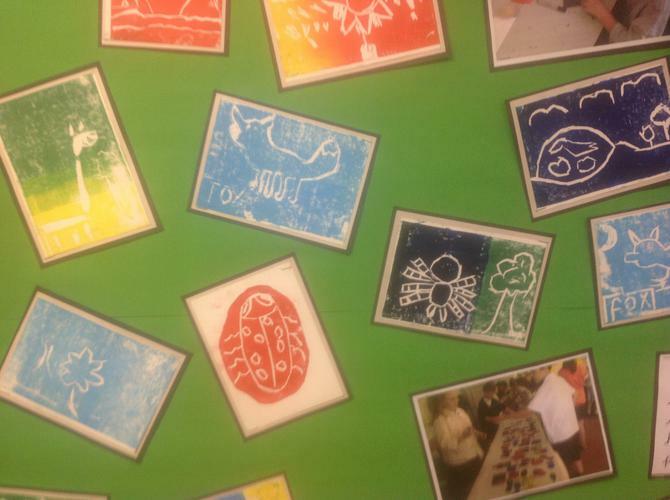 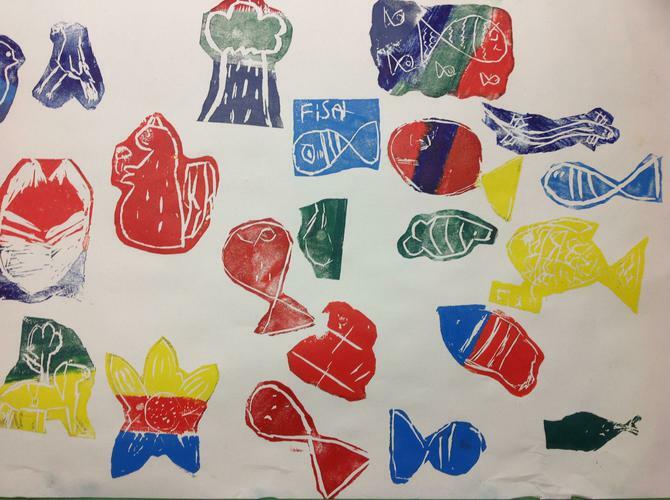 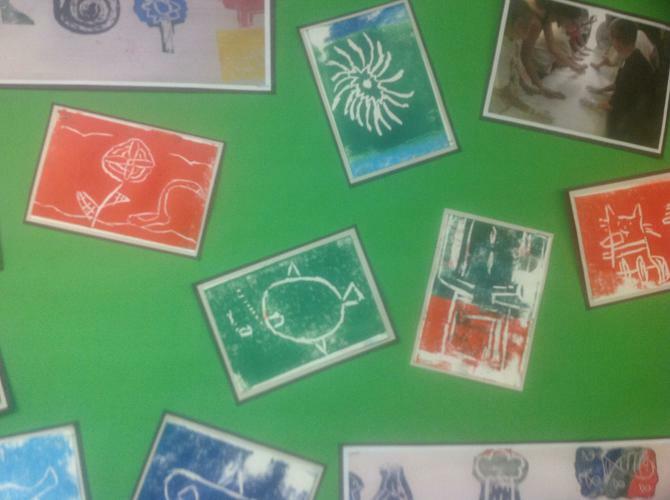 In Year 4, the children developed their lino printing skills to produce prints of animals and plants that can be found in the environment. 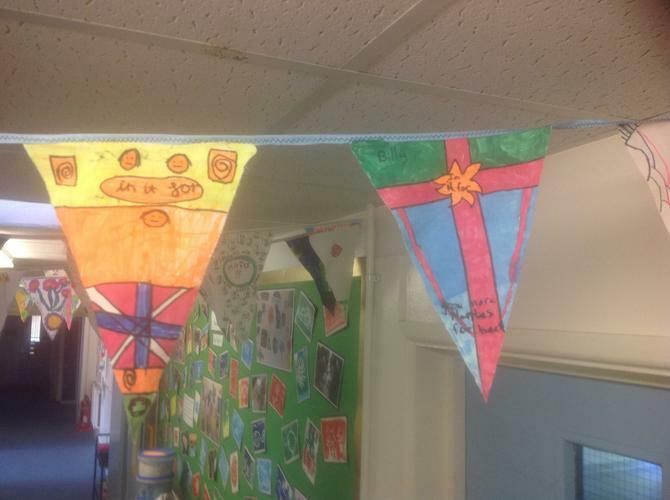 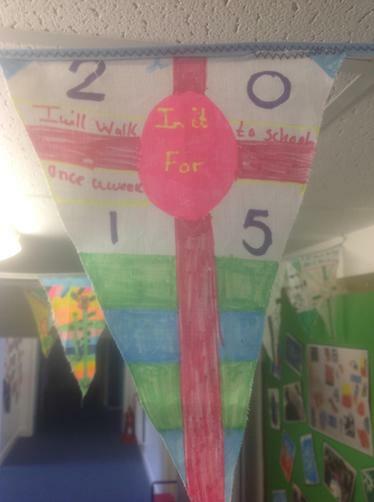 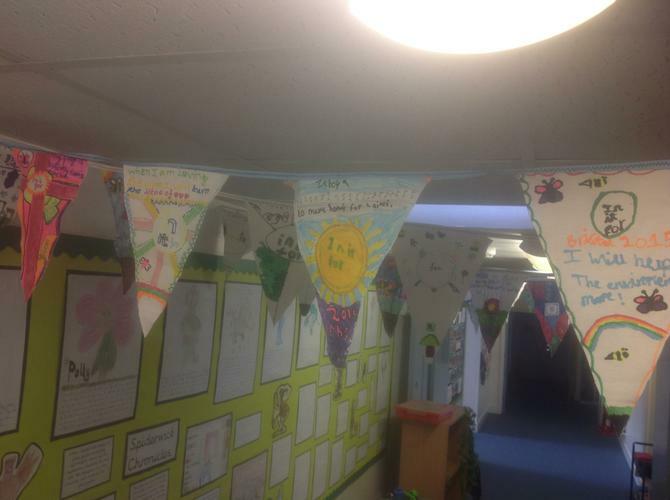 Year 4 also made bunting as part of the Do It Together project in Bristol. 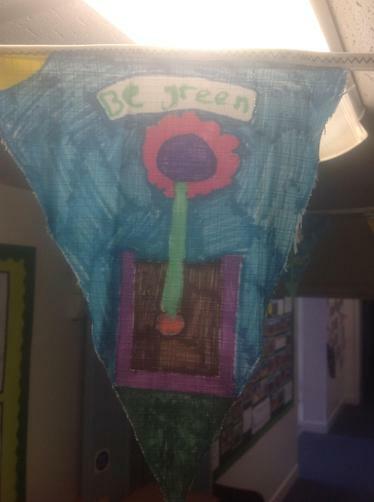 On the bunting they had to put what they will do to help the environment. 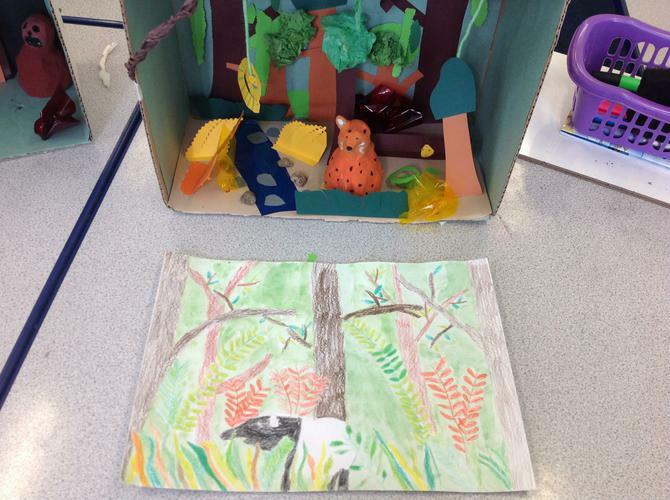 Year 5 focused on the artist Henri Rousseau and his famous painting Tiger in Storm and linked their work to their enquiry 'Why should we save the Amazon rainforest?' 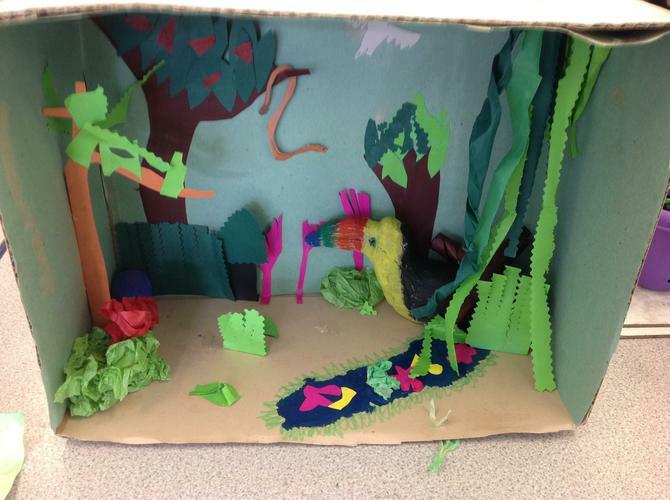 The children sketched their own versions of Rousseau's work and used their sketches to create 3D versions of their work using boxes and clay. 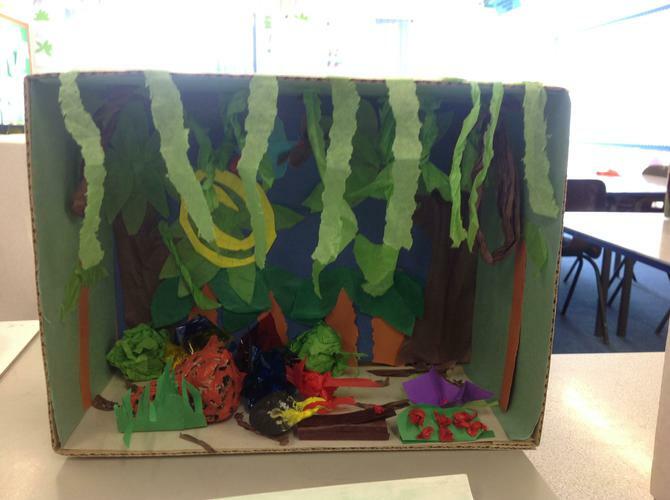 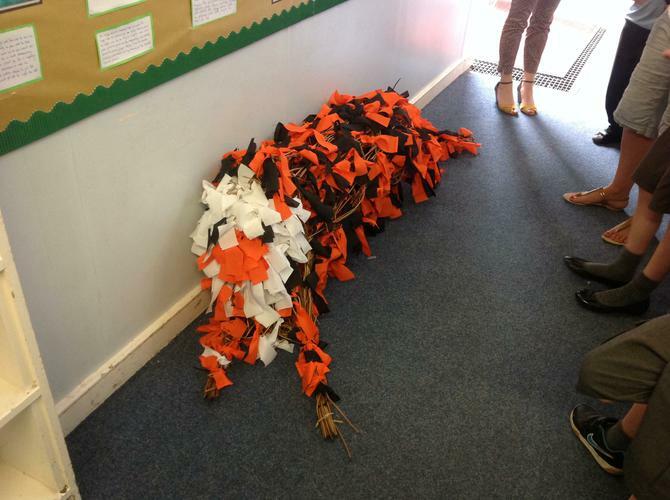 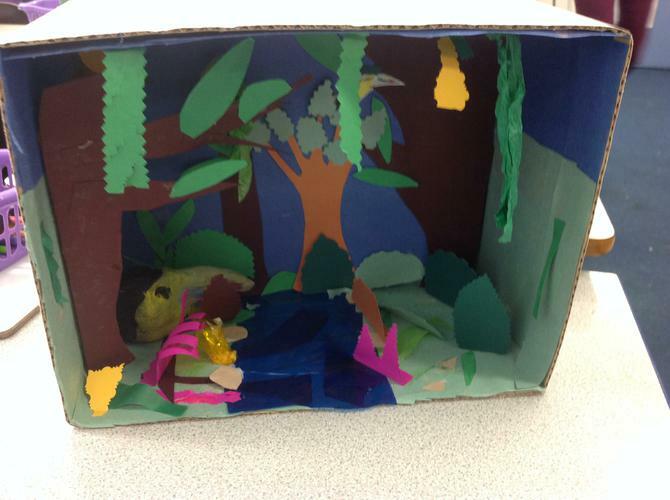 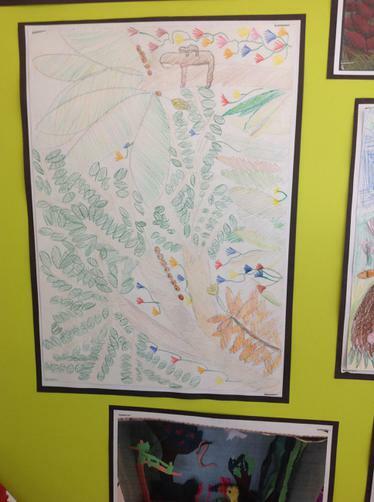 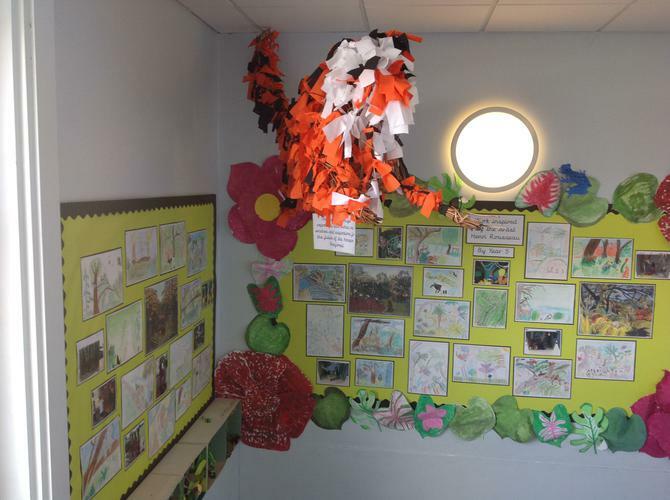 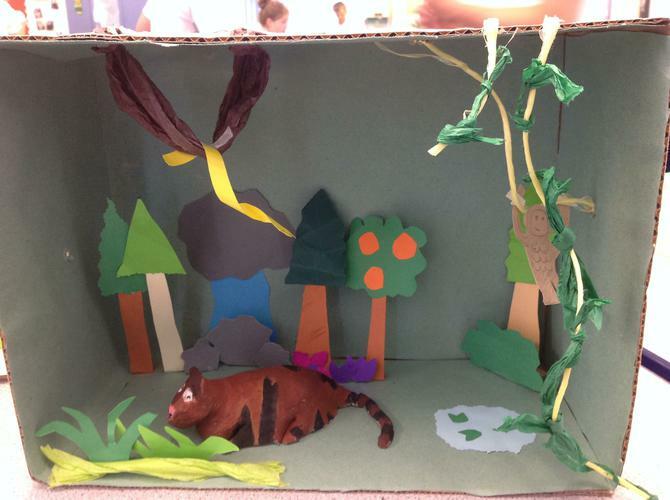 In addition, Year 5 made their own 'Rainforest Tiger'. 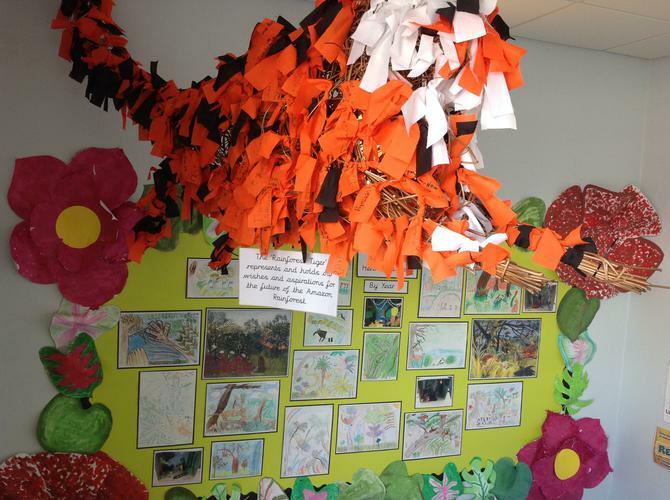 On pieces of cloth they wrote their wishes and aspirations for the future of the Amazon Rainforest and attached them to the tiger's under belly.